Disclaimer: The following products were provided for review. 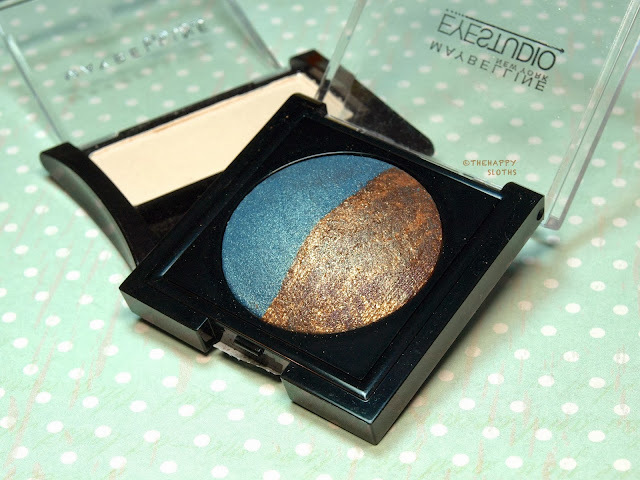 The Color Pearls Marbleized Eyeshadow is a dome shaped pressed shadow, the color "Teal Takeover" is a duo of a lovely dark metallic teal and a metallic brown with flecks of gold. 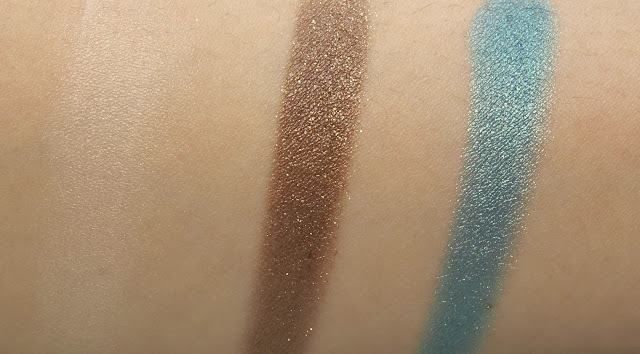 The pigmentation of the dark teal is very impressive, not much different in formulation compared with higher end shadows. The brown on the other hand is pigmented but had quite a bit of fall-out, making the application kind of messy. The Expert Wear Single Eyeshadow is a lovely light shimmery pale champagne color, perfect for highlighting the inner corners. The formulation of this one is decent but could be a bit more pigmented. For the look I did, I used the dark teal from the "Teal Takeover" duo on the middle of my lid after prepping my lids with some primer. 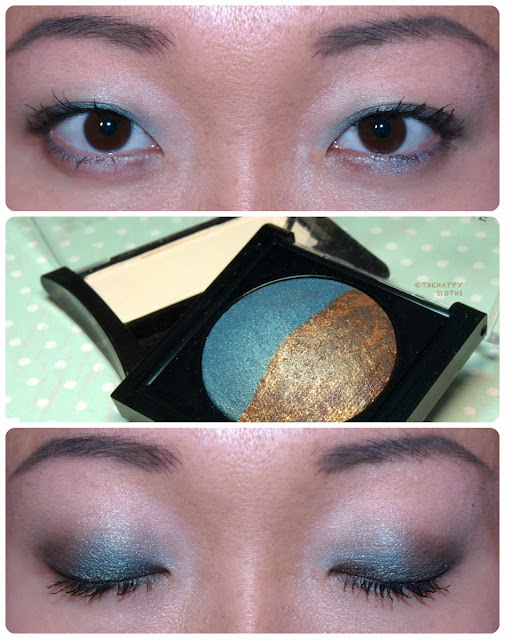 Then I used the brown on the outer corner and finished off the look by dabbing some "Linen" on my inner corners. The dark brown kind of muddled the blue so I will probably use the blue on its own in the future. Anyhow, does anyone own any Maybelline shadows? What are your thoughts? Let me know in the comments below! Thanks for reading!